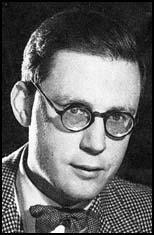 Hugh Trevor-Roper, the son of a doctor, was born in Northumberland on 15th January, 1914. Educated at Charterhouse and Christ Church, Oxford, he became a research fellow of Merton College in 1937. His first book, Archbishop Laud, was published three years later. During the Second World War Trevor-Roper served in the Radio Security Service. Later he worked for the Secret Intelligence Service where he was involved on the project to penetrate the German Secret Service. Trevor-Roper later claimed that his boss, Kim Philby, undermined attempts by Admiral Wilhelm Canaris to negotiate with the British government. In 1945 he was sent to Germany to find out if the claims being made by Joseph Stalin that Adolf Hitler was still alive. This involved him interviewing all the survivors of Hitler's staff. This material became the main source for his book, The Last Days of Hitler (1947). He also produced Hitler's Table Talk (1953). In 1957 Trevor-Roper became professor of Modern History at Oxford University. A post he was to hold for twenty-three years. A supporter of the Conservative Party, in 1959 Trevor-Roper led the campaign to get Harold Macmillan elected as Chancellor of Oxford University. Other books by Trevor-Roper include Historical Essays (1957), Hitler's War Directives (1964), Religion, The Rise of Christian Europe (1965), The Reformation and Social Change (1967), The Philby Affair (1968) and edited The Goebbels Diaries (1978). In 1980 Trevor-Roper became Master of Peterhouse College. He was also director of Times Newspapers (1974-1988) and in 1985 claimed that the Hitler Diaries serialized in the Sunday Times were authentic. Unfortunately for his reputation, the book was later discovered to be a forgery. In retirement Trevor-Roper published Renaissance Essays (1985), Catholics, Anglicans and Puritans (1987) andFrom Counter-Reformation to Glorious Revolution (1992). Hugh Trevor-Roper, Baron Dacre of Glanton, died of cancer in an Oxford hospice on 26th January, 2003. As an undergraduate at Oxford I had heard admiring accounts of him from a friend who often travelled with him in vacations. And, sure enough, while we were still waiting for Philby, my old Oxford friend himself appeared in Section Five as a herald of the coming Messiah. I admit that Philby's appointment astonished me at the time, for my old Oxford friend had told me, years before, that his travelling companion was a Communist. By now, of course, I assumed that he was an ex-Communist, but even so I was surprised, for no one was more fanatically anti-Communist, at that time, than the regular members of the two security services, MI6 and MI5. And of all the anti-Communists, none seemed more resolute than the ex-Indian policemen, like Colonel Vivian and Major Cowgill, whose earlier years had been spent in waging war on 'subversion' in the irritant climate of the Far East. That these men should have suspended their deepest convictions in favour of the ex-Communist, Philby, was indeed remarkable. Since it never occurred to me that they could be ignorant of the facts (which were widely known), I assumed that Philby had particular virtues which made him, in their eyes, indispensable. I hasten to add that, although I myself knew of Philby's Communist past, it would never have occurred to me, at that time, to hold it against him. My own view, like that of most of my contemporaries, was that our superiors were lunatic in their anti-Communism. We were therefore pleased that at least one ex-Communist should have broken through the net and that the social prejudices of our superiors had, on this one occasion, triumphed over their political prejudices. Late in 1942 my office had come to certain conclusions - which time proved to be correct - about the struggle between the Nazi Party and the German General Staff, as it was being fought out in the field of secret intelligence. The German Secret Service (the Abivehr) and its leader. Admiral Canaris, were suspected by the Party not only of inefficiency but of disloyalty, and attempts were being made by Himmler to oust the Admiral and to take over his whole organization. Admiral Canaris himself, at that time, was making repeated journeys to Spain and indicated a willingness to treat with us: he would even welcome a meeting with his opposite number, 'C'. These conclusions were duly formulated and the final document was submitted for security clearance to Philby. Philby absolutely forbade its circulation, insisting that it was 'mere speculation'. He afterwards similarly suppressed, as 'unreliable', a report from an important German defector. Otto John, who informed us, in Lisbon, that a conspiracy was being hatched against Hitler. This also was perfectly true. The conspiracy was the Plot of 20 July 1944, and Canaris, for his contribution to it, afterwards suffered a traitor's death in Germany. At the time we were baffled by Philby's intransigence, which would yield to no argument and which no argument was used to defend. From some members of Section Five, mere mindless blocking of intelligence was to be expected. But Philby, we said to ourselves, was an intelligent man: how could he behave thus in a matter so important? Had he too yielded to the genius of the place? While Trevor-Roper occupied the public eye, his critics, sometimes even his friends, were urging him to write a long and weighty book. In reality his learning, though never paraded, indeed at times almost secretive, was formidable and exact. He has left behind an extraordinary range of scholarly writing, not all of it completed or published. But the world, he felt, was not short of fat books on single subjects. His favoured form was the essay, sometimes the long essay - where insight must be concentrated, proportion maintained and the evidence of learning kept mostly beneath the surface. The genre allowed him to move across time and space and to draw on the breadth of his reading and reflection. He liked to notice resemblances here, or contrasts there, between societies or events or circumstances. Comparison was his essential intellectual instrument, as it was of the "philosophic historians" of the 18th century, Gibbon at their head, whom he admired. Everything that interested him seemed to remind him of something else. In 1967 he brought together perhaps the most remarkable of his collections of essays, Religion, The Reformation And Social Change. Employing an almost dizzying range of material, the book centred on the revolutions that shook Europe in the middle of the 17th century and related them to the mental ferment that preceded and accompanied them. The essays reflected the influence of French historians, particularly Fernand Braudel and Marc Bataillon, who had deepened his interest in early-modern Europe. They also marked the movement of his thinking away from economics to ideas. They were the boldest exposition of lifelong persuasions: of his equation of historical progress with pluralism; of his impatience with closed intellectual systems (both past and present); and of his rejection of historical determinism. Along with AJP Taylor, Lord Dacre was one of the most-respected historians of the modern era. But his reputation was seriously undermined when he backed the Hitler Diaries in April 1983. Both the German magazine Stern and Britain's Sunday Times were humiliated when it became apparent that they had paid millions for a hoax. The 60 volumes, supposedly the personal thoughts of the dead dictator, were in fact the work of a German fraudster. There had been a great deal of initial scepticism, with many won over by Lord Dacre's backing. In reality, the diaries were made of paper, ink and glue of post-war origin. The text was also peppered with historical inaccuracies and anachronisms. Forger Konrad Kujau was jailed in Germany for four-and-a-half-years for the scam. Kujau had based his work on a book called Hitler's Speeches and Proclamations compiled by a Nazi federal archivist. He had added banal comments such as "Must get tickets for the Olympic Games for Eva" to give the work a personal touch. In his article The Gentry, 1540 to 1640, he claimed - in opposition to the prevailing Marxist orthodoxy - that the gentry had been declining, rather than rising, economically in the century before the Civil War. This conclusion led to a ferocious dispute with Lawrence Stone.